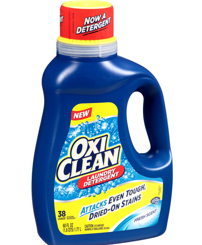 We have a new $2/1 OxiClean Laundry Detergent coupon available to print! Walmart sells these for $4.97, making them just $2.97 after coupon. Also, be on the lookout for “Try Me Free” peelie rebates on the bottles.